The Corner Brook Royals and Port Aux Basques Mariners split their series in the opening weekend of the West Coast Senior Hockey League (WCSHL) action. On Friday night, the Mariners won their home opener in front of a packed Bruce Arena by a score of 6-4. The Mariners were led by Jasper Dicks as he notched two goals to start the season. Teammate Luke Parsons also netted two goals and added an assist for the winners. The Corner Brook Royals got goals from Pilgrim, Gillard, Noseworthy and Hunt. 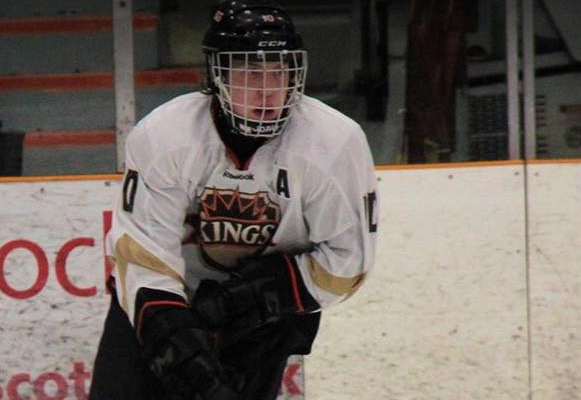 On Saturday night, the Corner Brook Royals stormed out of the gate in their home opener when the Royals Iain Power notched a power play marker at the 2:33 mark of the first period. The Royals ran the score up to 4-1 in the first period as they dominated the Mariners during the opening frame. The Royals continued to dominate into the second period, when Pilgrim once again hit the back of the net at the 16:57 mark. Less than two minutes later, the Royals added two quick goals just 8 seconds apart to make it a 6-1 game. The Mariners responded at the close of the second period at the 19:59 mark when Paul Barter made it a 6-2 game. The third period saw the Mariners torm from the gates when Greg Edgar scored at the 31 second mark to make it a 6-3 game. The Mariners then added another at the 3:18 mark to make it 6-4. The Corner Brook Royals Josh Smith added a goal, in what would eventually become the game winner as the Royals pulled to a 7-4 league. There was no quit in the Mariners however, as Drew nadon and Luke Parsons scored to make it 7-6 heading into the final half of the third period. The Mariners fate was later sealed when Scott Delaney notched a goal and Ryan Hawco added a pair to make it a final score of 10-6. The Royals Iain Pilgrim led the Royals with 4 points (2G/2A) while Ryan Hawco added a hat trick. The Mariners Greg Edgar picked up 3 points (1G/2A) while Jasper Dicks contributed with 2 goals. Play resumes Friday, November 23 as the Stephenville Jets home to face Corner Brook on Friday night and the Mariners on Saturday night.